The Torrington Council reorganized in March of 1920 as a First Class Council. Even before the council officers completed the charter application, they hired Torrington’s Assistant Postmaster, William Copley, as a part-time executive. 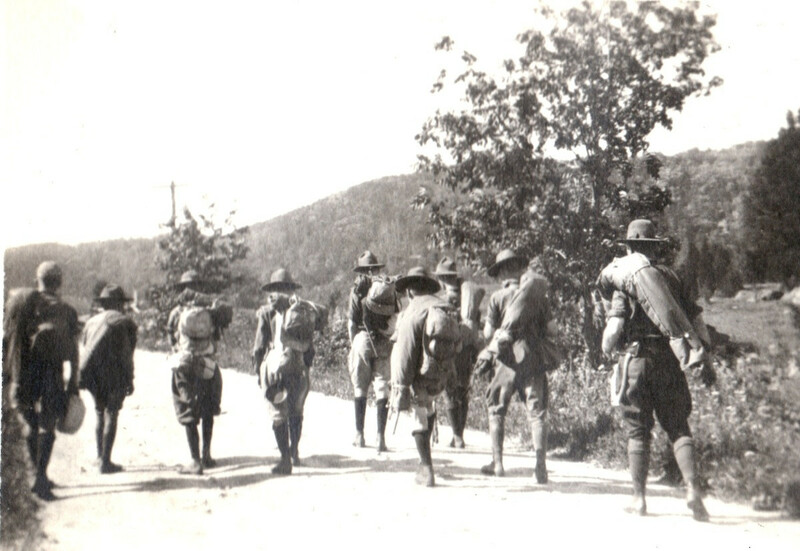 Among Copley’s first tasks was to arrange a summer program. Around the same time, the Hartford Council purchased fifty acres on West Hill Pond for Camp Pioneer. Copley struck a deal with Hartford Council Executive Sherman Ripley for Torrington Scouts to join in on the Camp Pioneer program. The Torrington Council paid for the Scouts' first week; local service organizations such as the Torrington Rotary Club volunteered in the camp’s development. The troop response was overwhelming, to the point that during the first week of camp the carpenters the Hartford Council hired to build the camp office had to construct more tables for the dining hall instead. Later in the summer, the camp was so overbooked that some Scouts bunked in the dining hall. More than seventy of the Torrington Council’s one hundred and ten Scouts attended, and many stayed for multiple weeks. 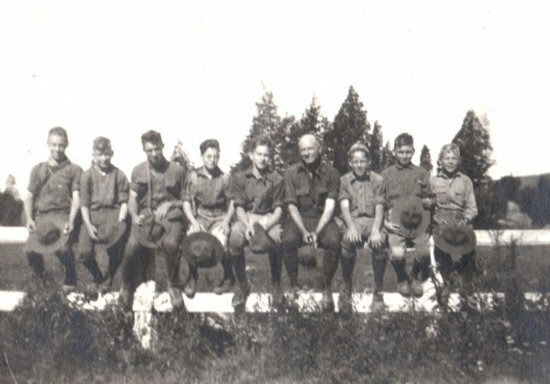 The photos below show Torrington Scouts on a council hike in 1921 or 1922.